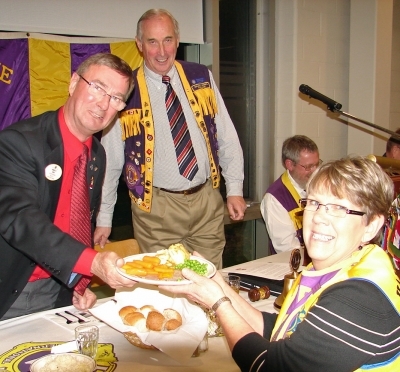 Baby Lion Millie taking DG Bobby's supper. 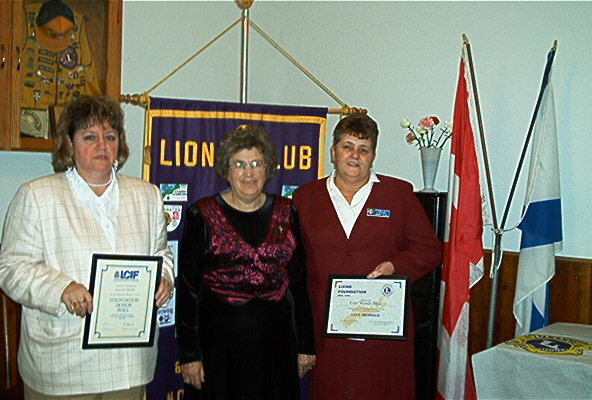 Lion Allan & Lion Bucky with Joyce Cann from Cann's Convience on left presenting Bingo cheque to Tina Merrett on right. 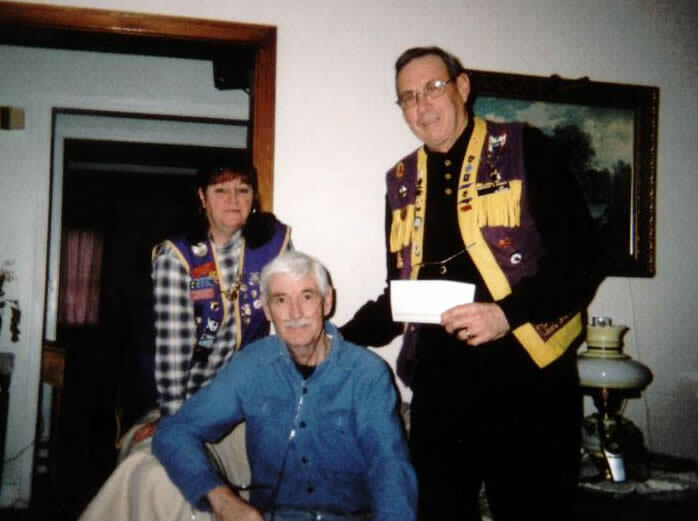 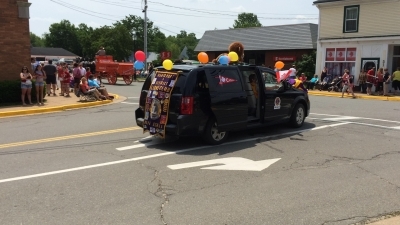 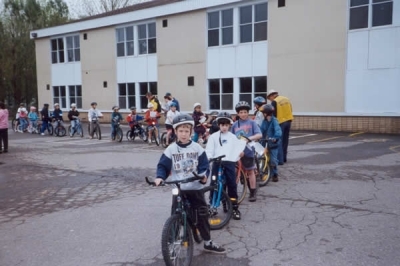 Hantsport & District Lions Club partnered with First Book Canada to donate over 130 new books to the Hantsport Public Library for use in their youth literacy program. 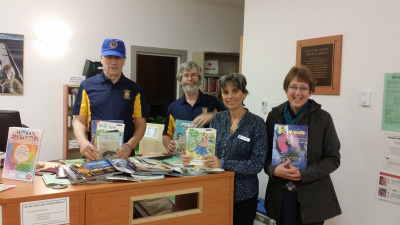 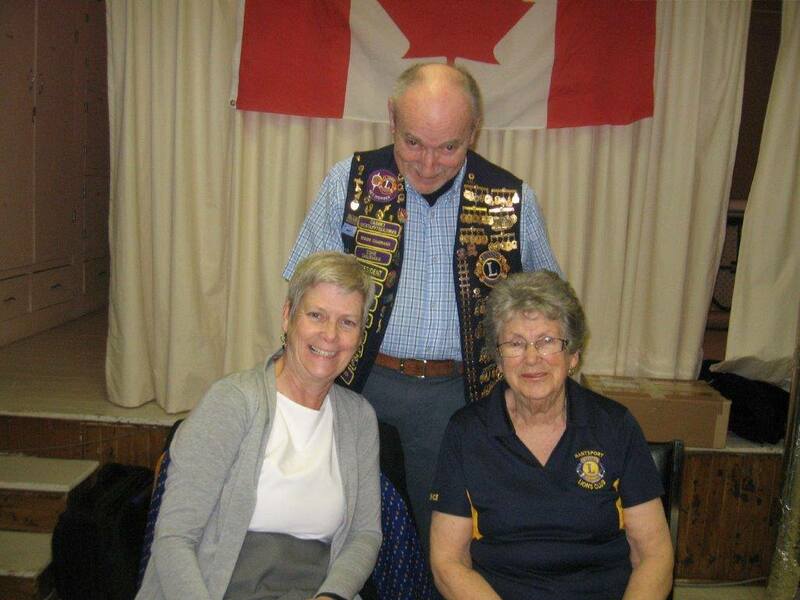 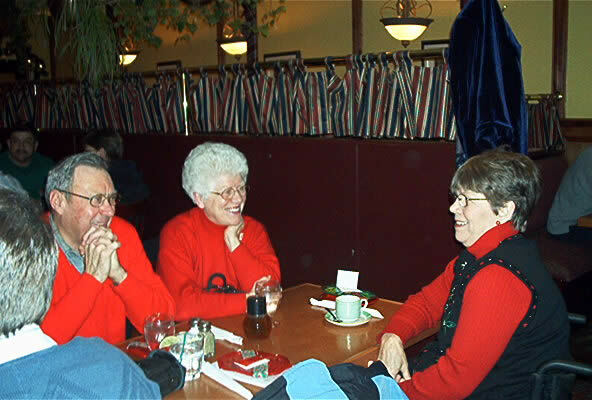 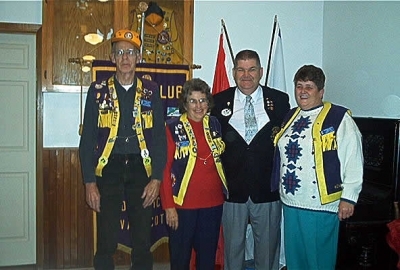 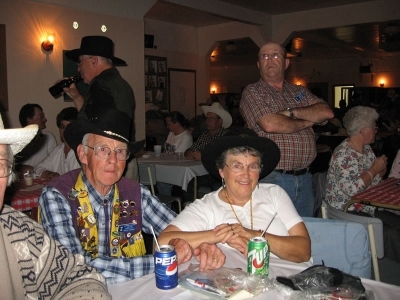 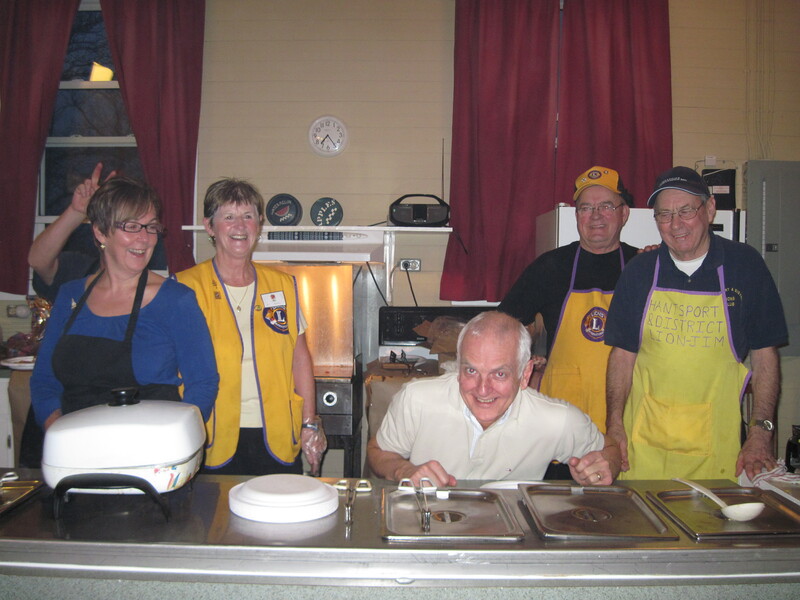 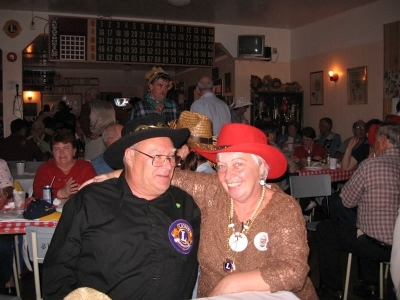 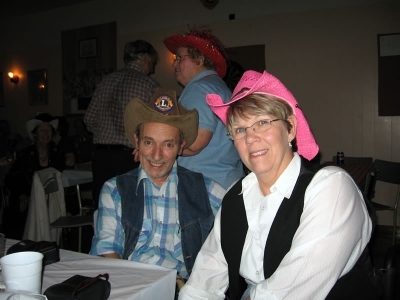 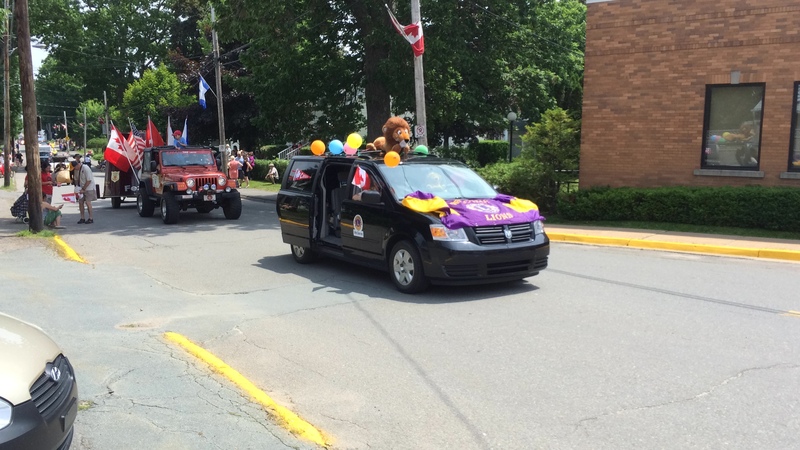 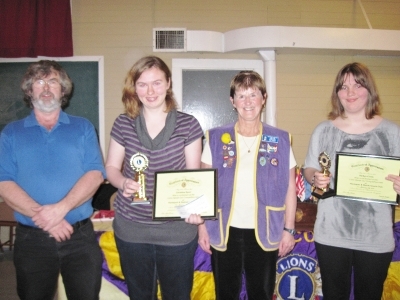 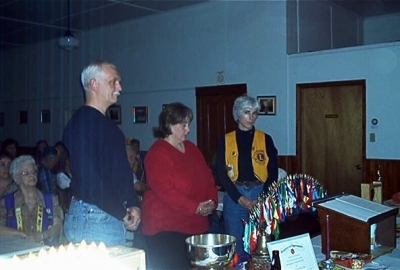 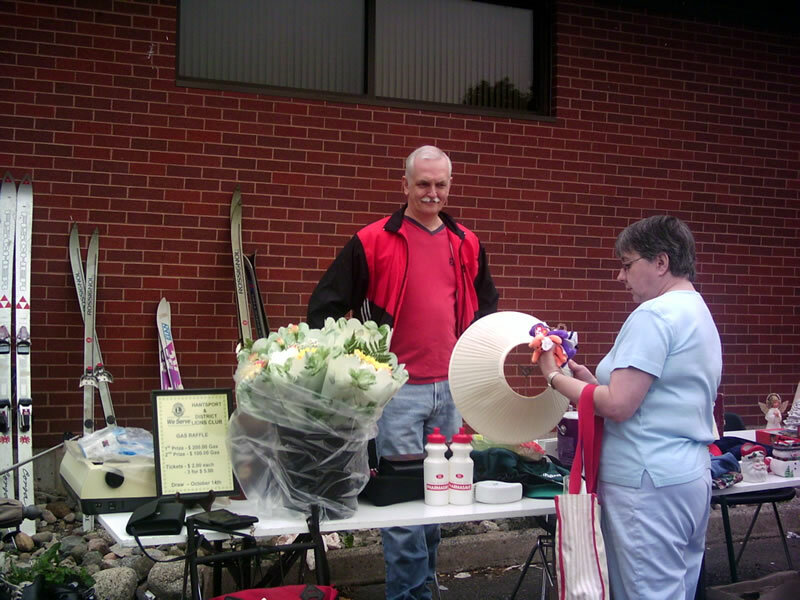 From the left, Lion Doug Symonds, Lion Steve Spurr, Librarian Liz Gibbons and Library volunteer Lois Burgess. 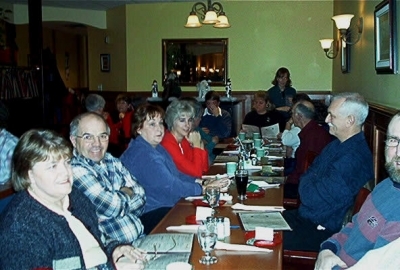 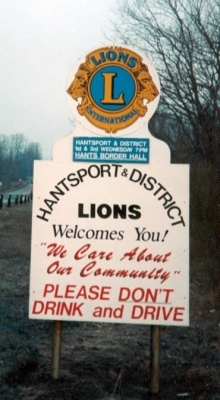 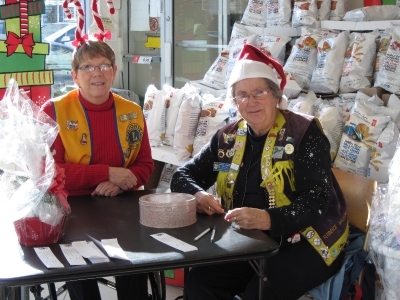 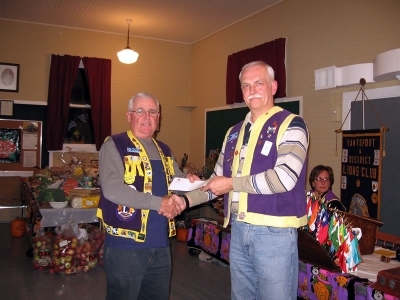 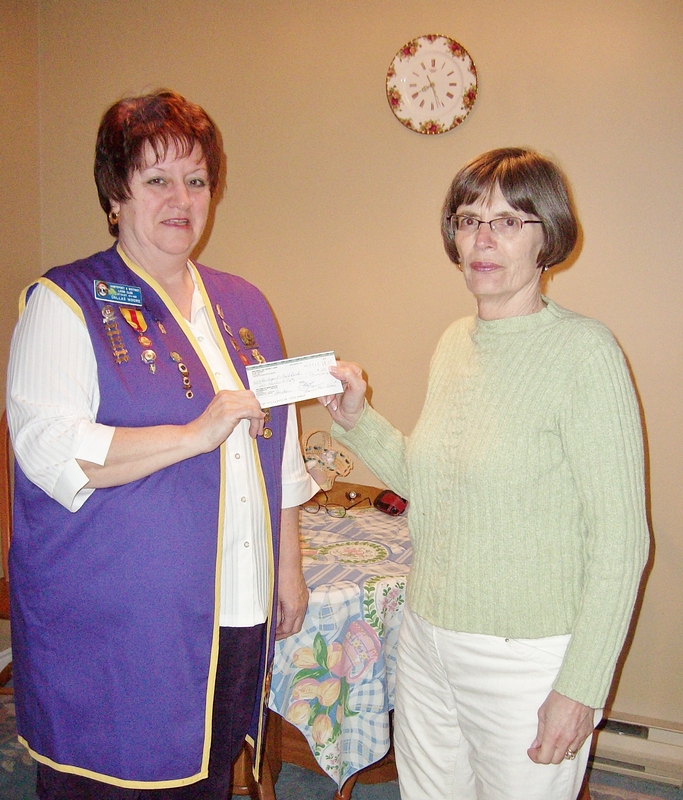 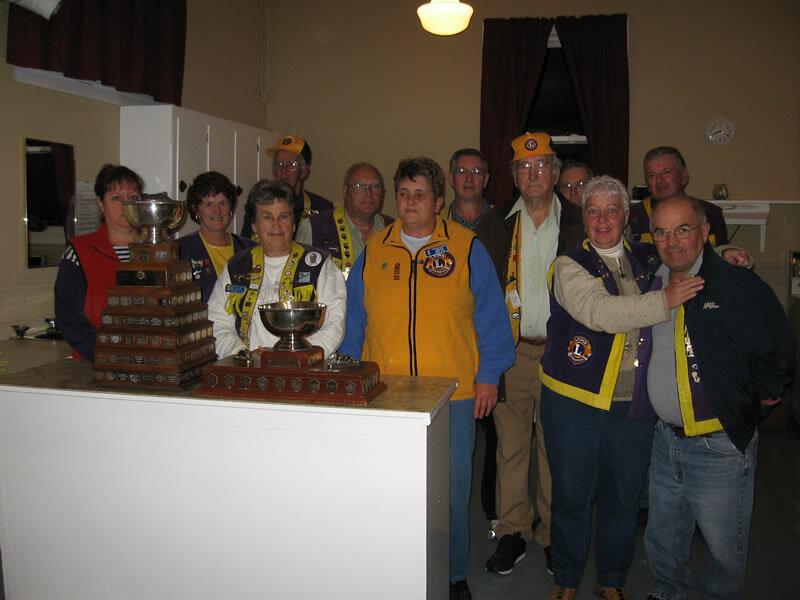 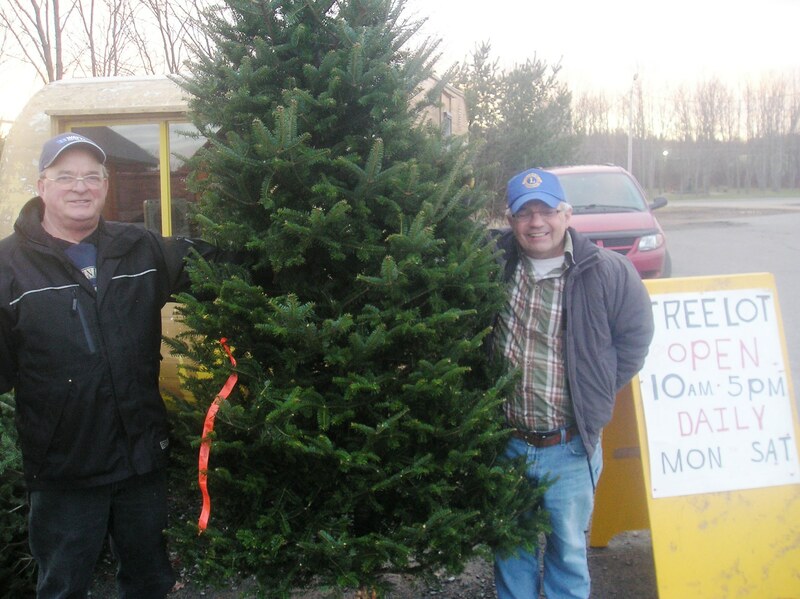 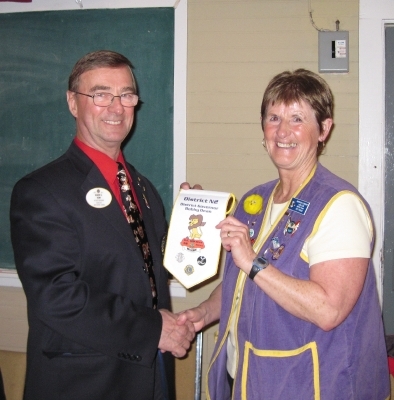 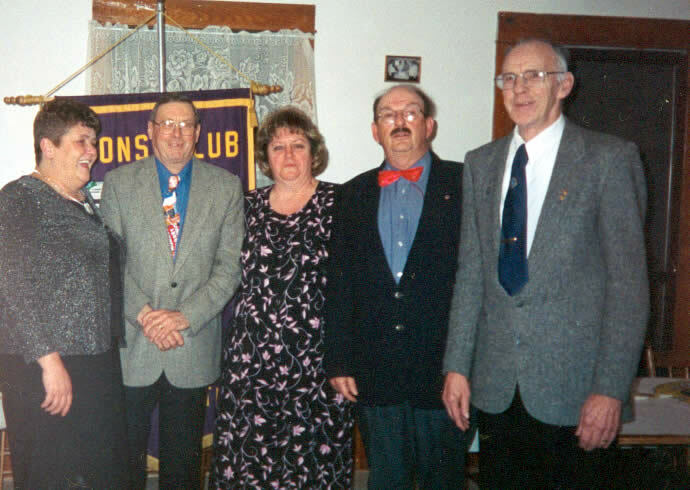 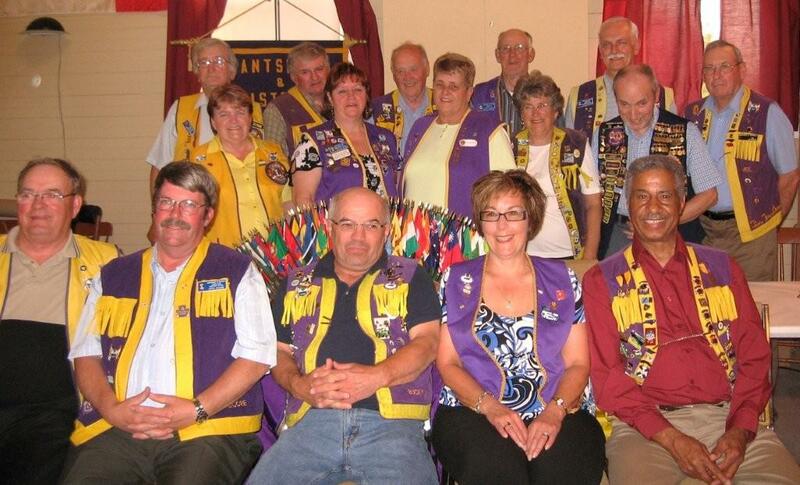 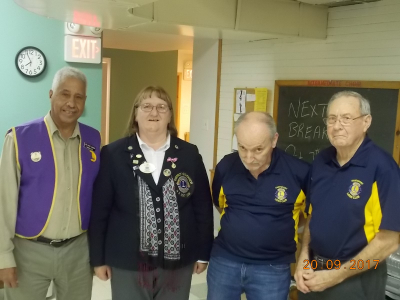 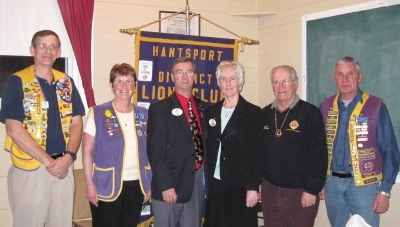 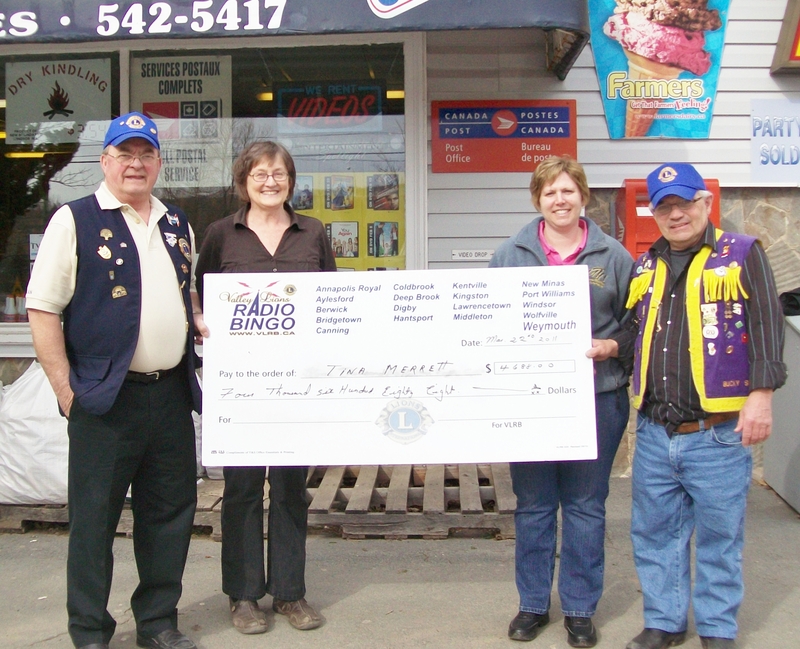 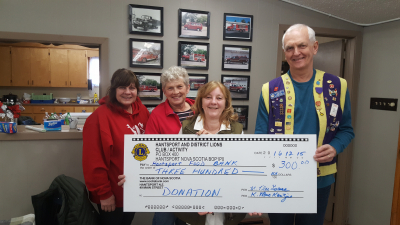 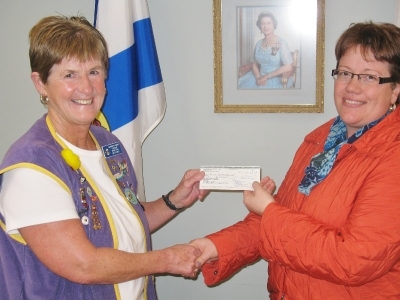 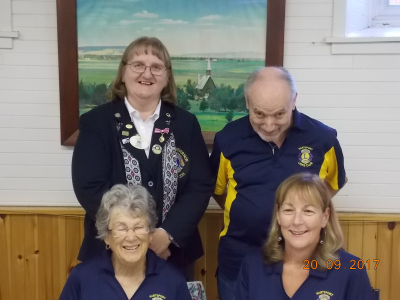 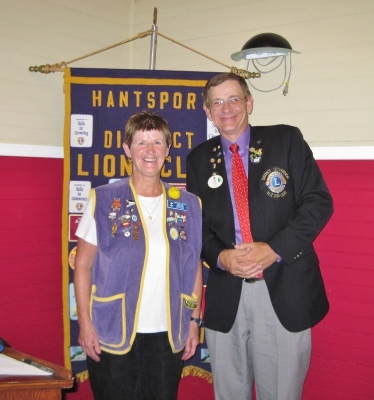 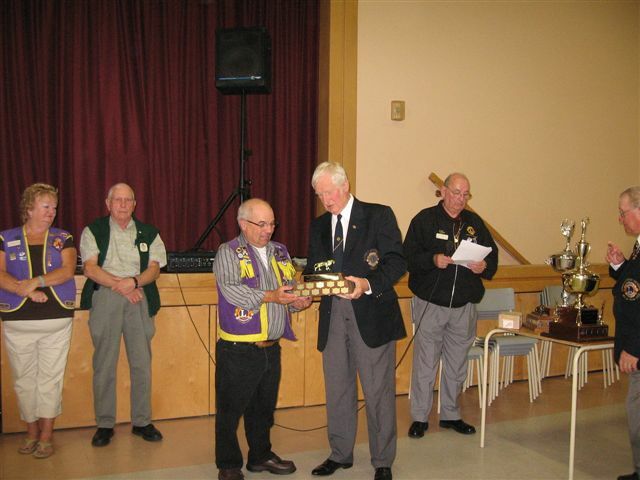 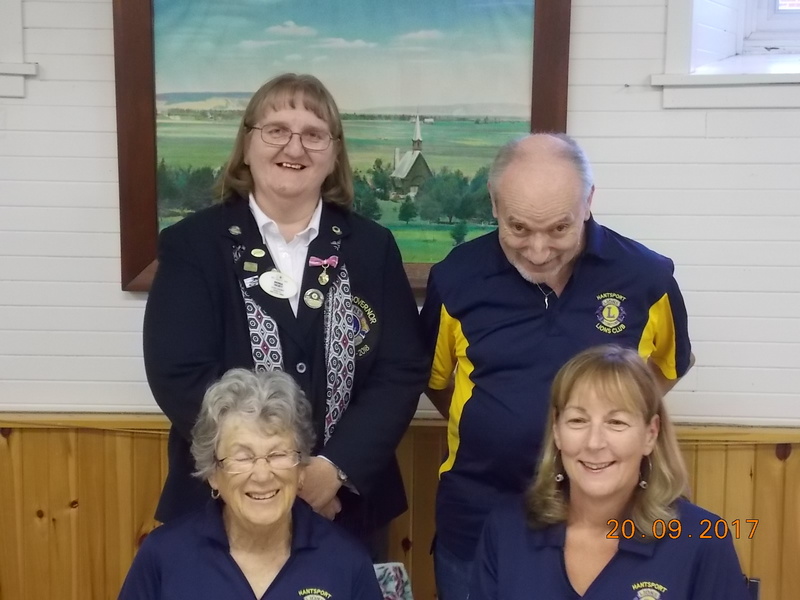 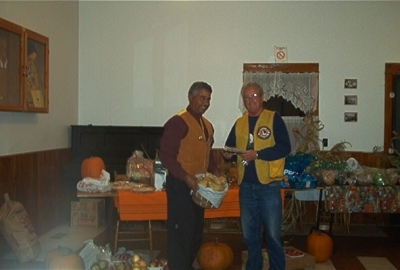 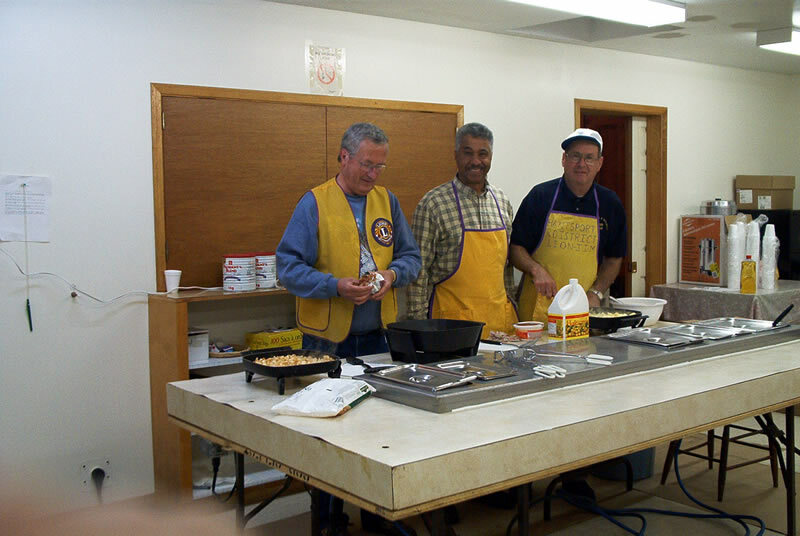 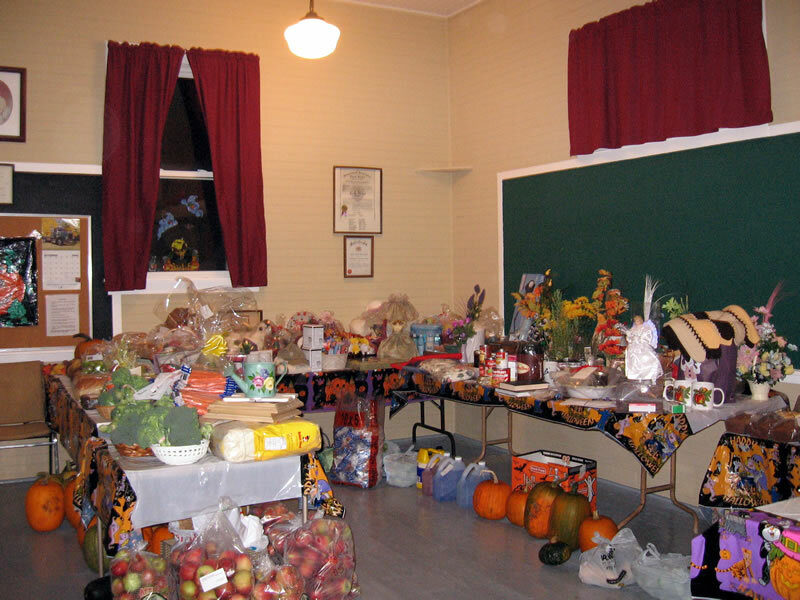 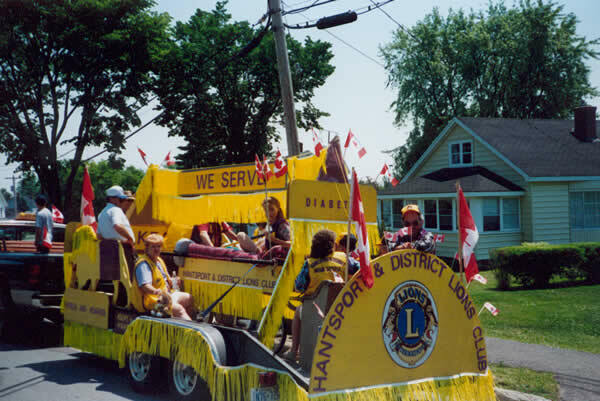 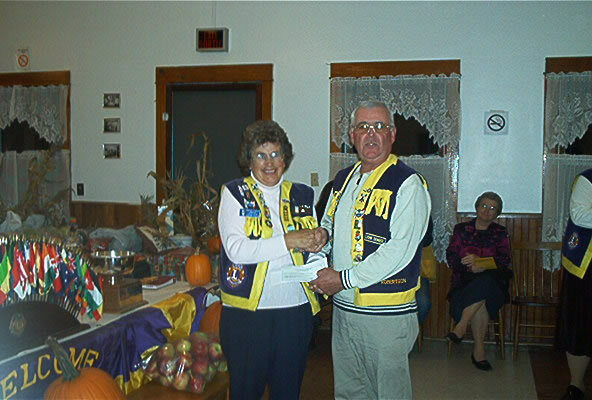 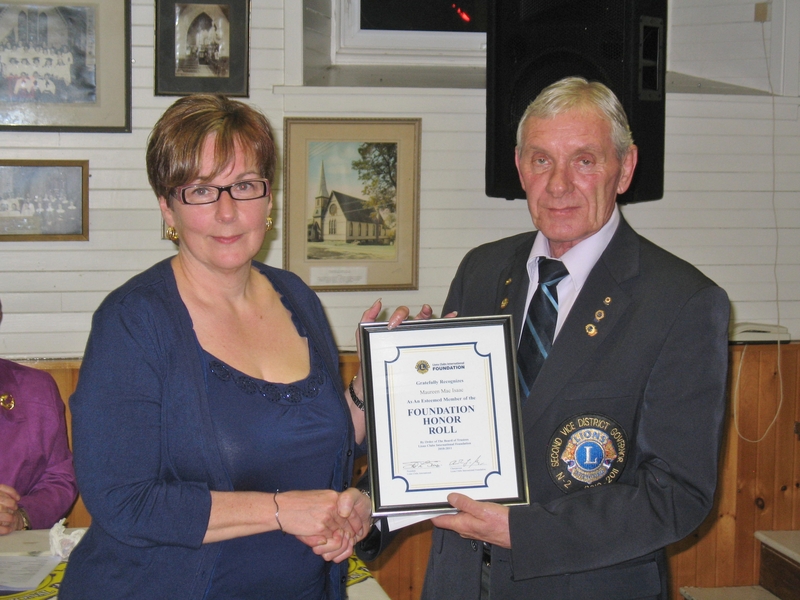 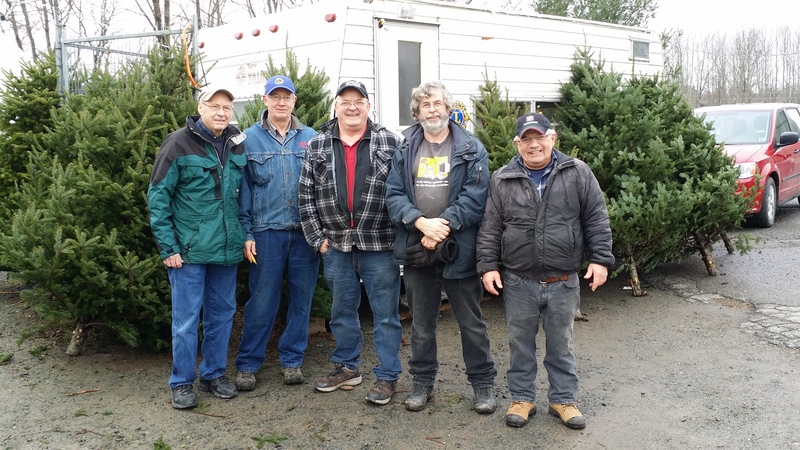 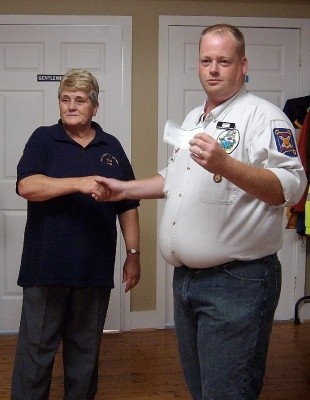 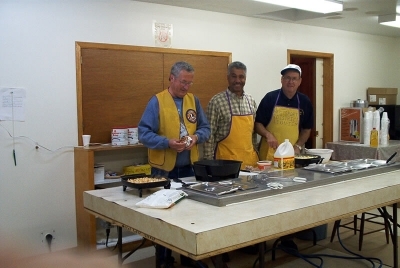 Hantsport & District Lions Club donation to Hantsport & Area Community Food Bank. 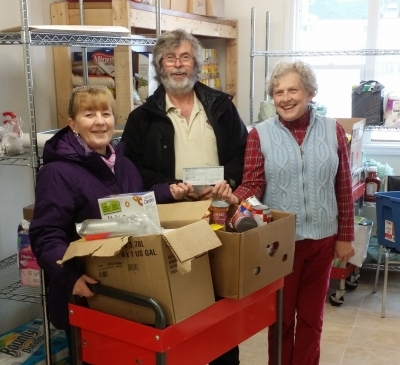 From the left, Food Bank Volunteers Heather McInnes, Beth Caldwell, Food Bank co-ordinator Betty Jo Hazel and Past King Lion Duncan MacIsaac making the presentation. 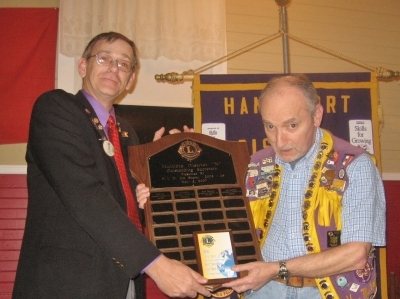 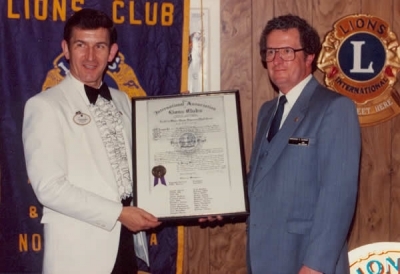 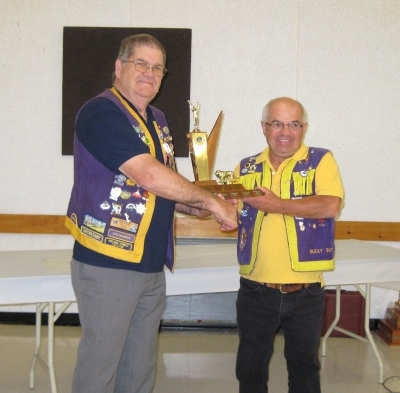 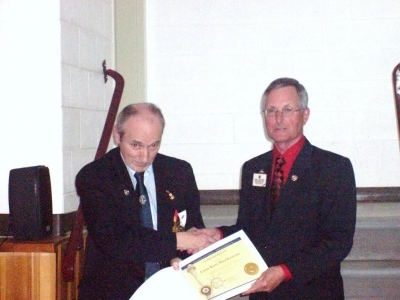 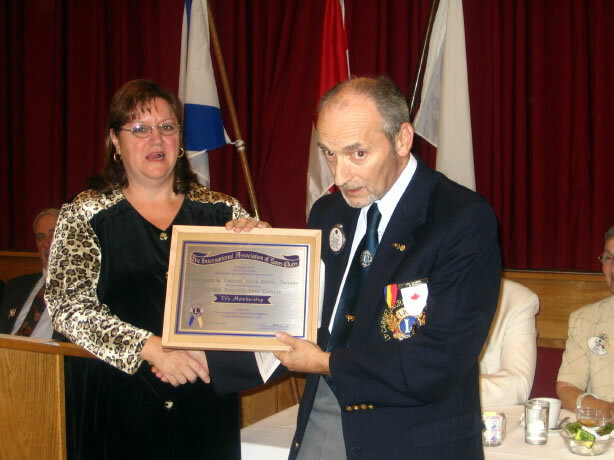 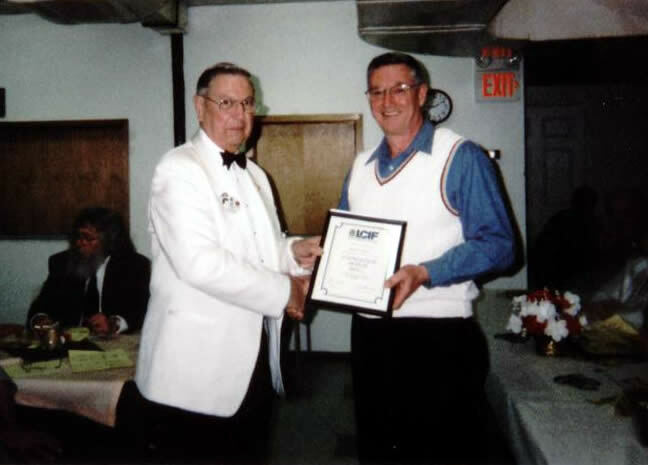 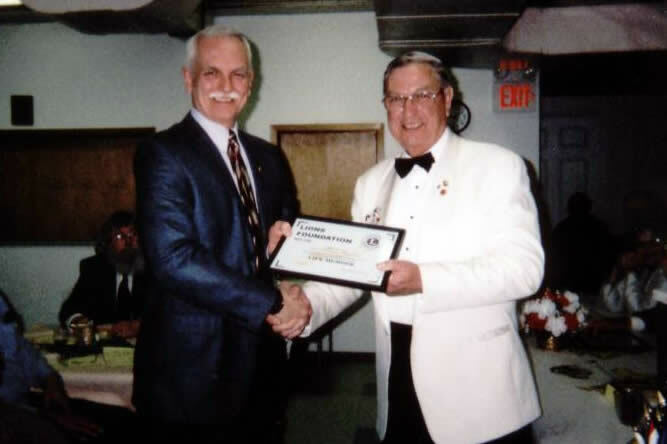 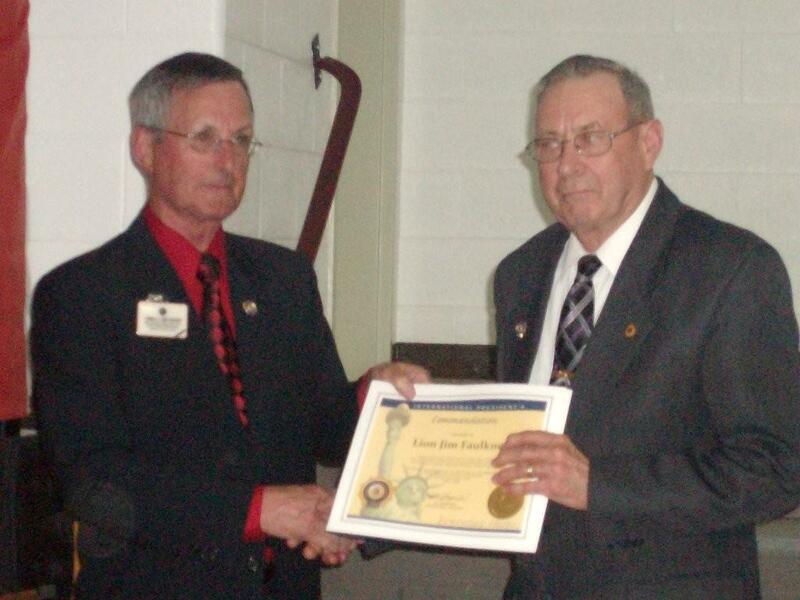 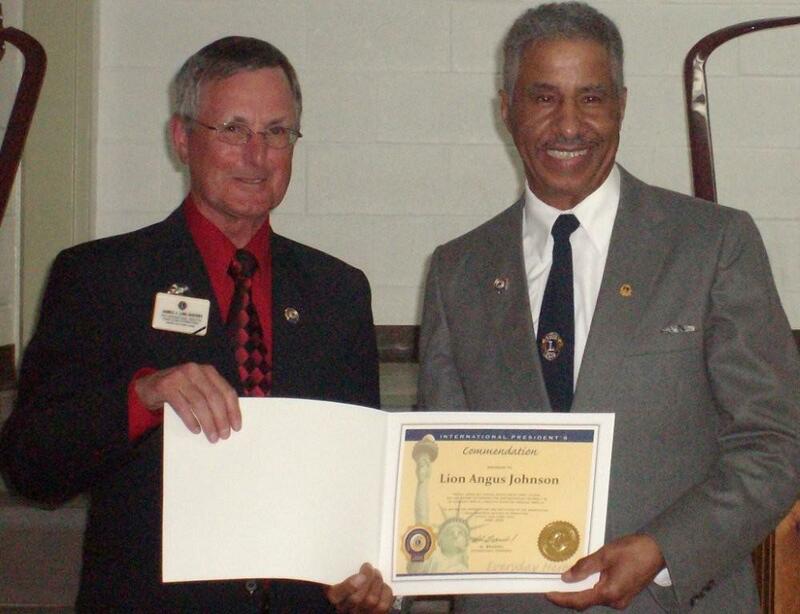 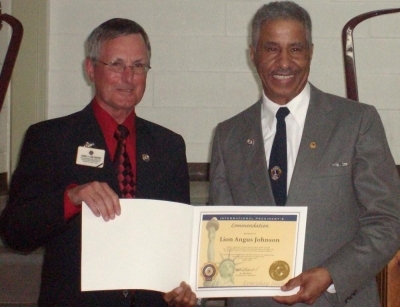 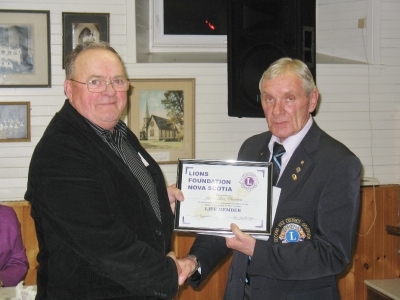 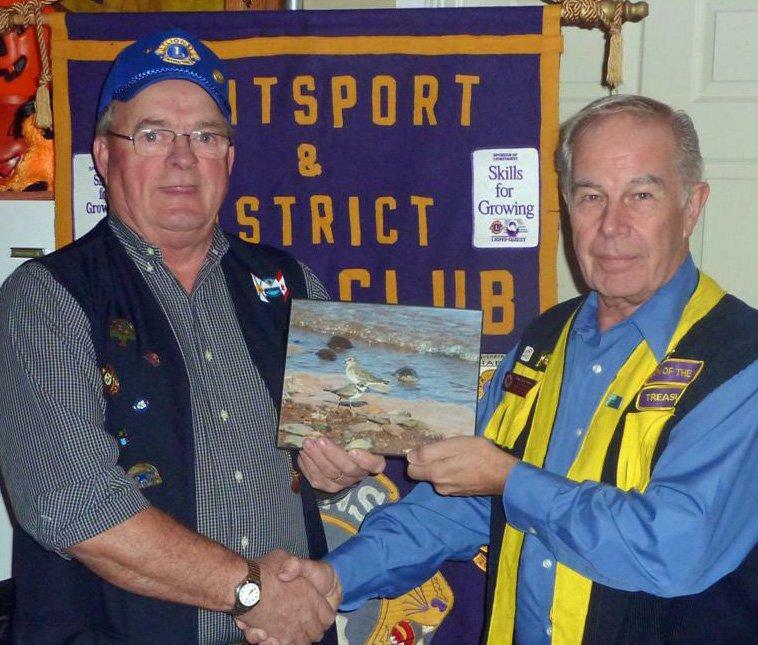 PDG Doug Adams presenting Charter to Lion Reg Harrison. 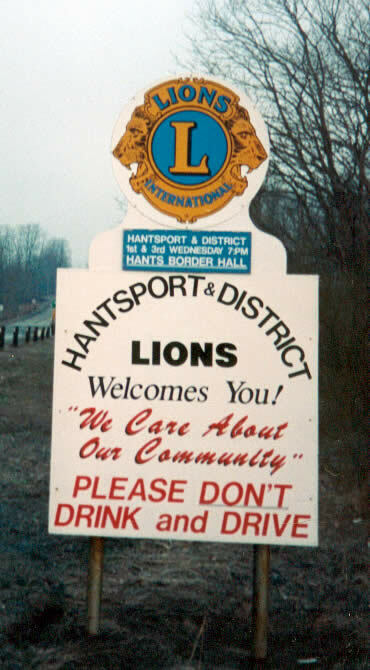 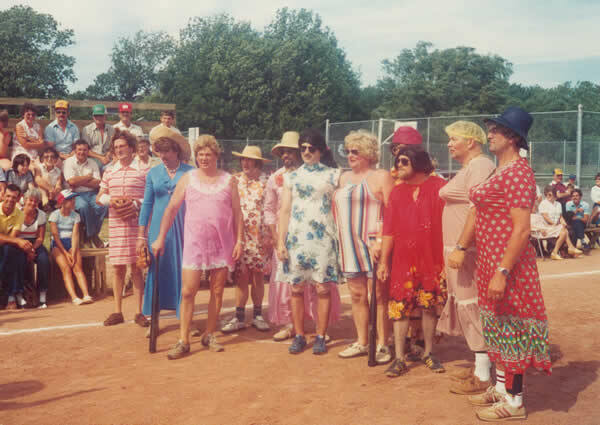 Hantsport & District Lions Cuties soft ball team. 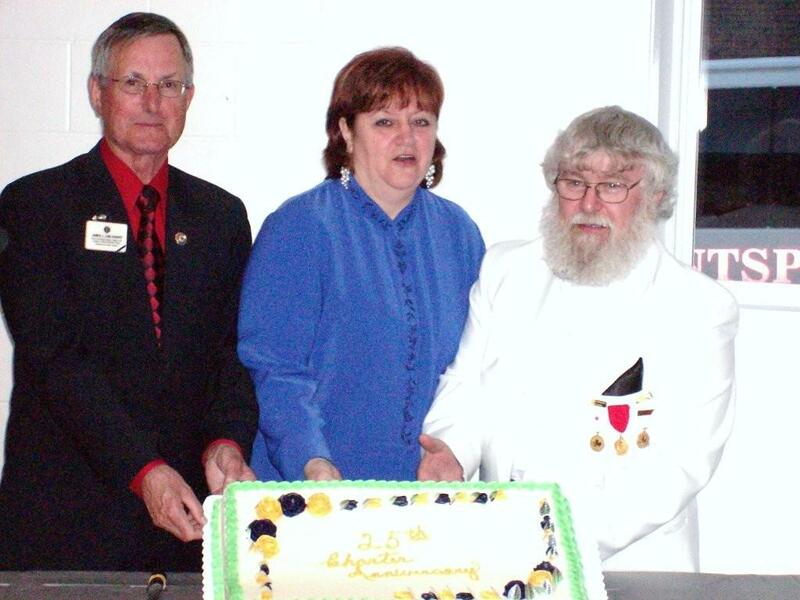 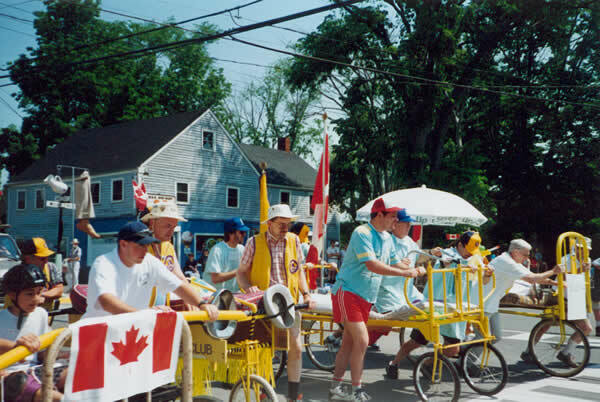 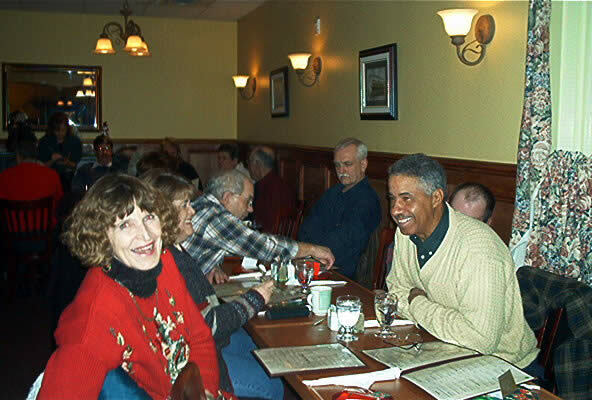 18th Charter Anniversary Kings County Councilor John Fuller, Hantsport Mayor Wayne Folker and King Lion Laurice Mitton. 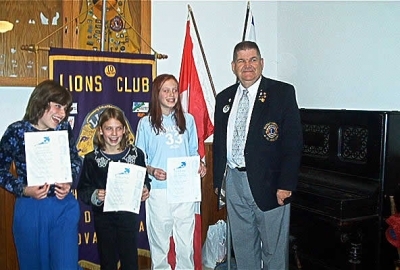 District Governor Earl Einarson presenting Peace Poster Awards to 1st place winner - Alicia Melanson, 2nd place winner - Kelsey Carey and 3rd place winner - Caitlin Cameron. 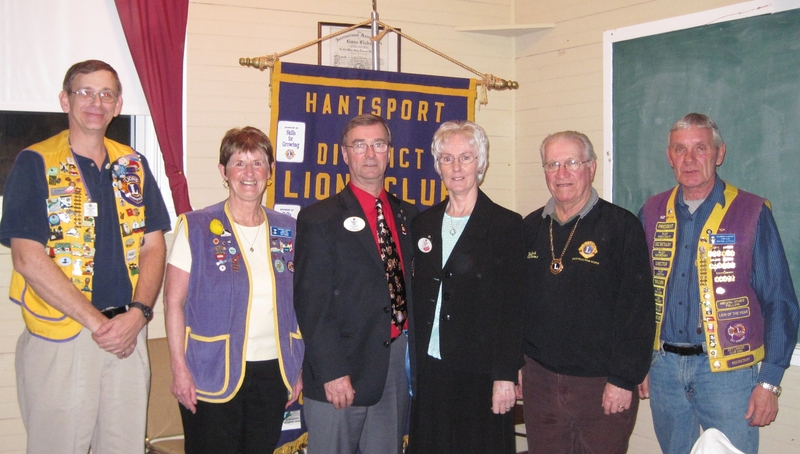 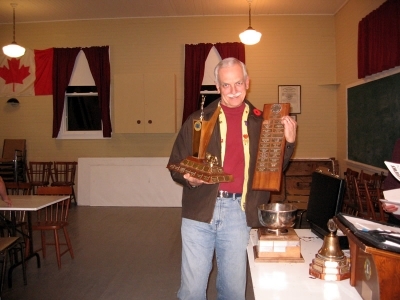 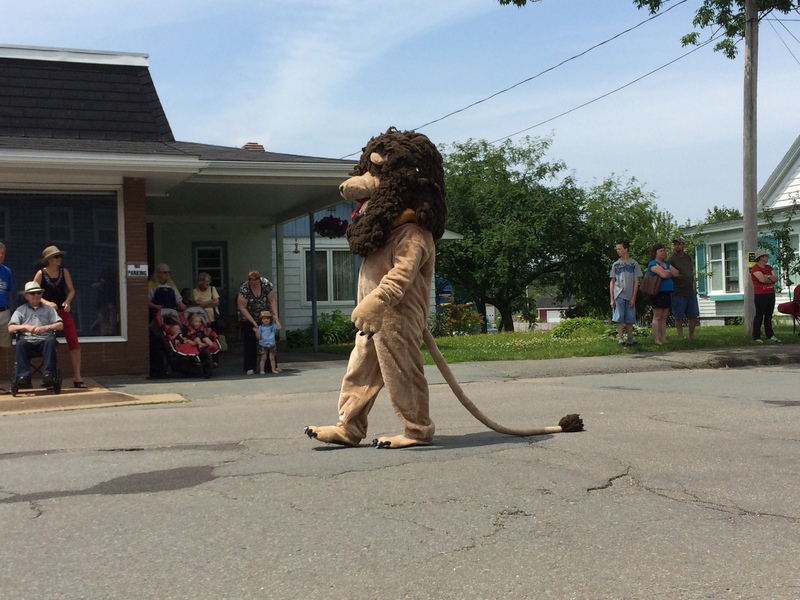 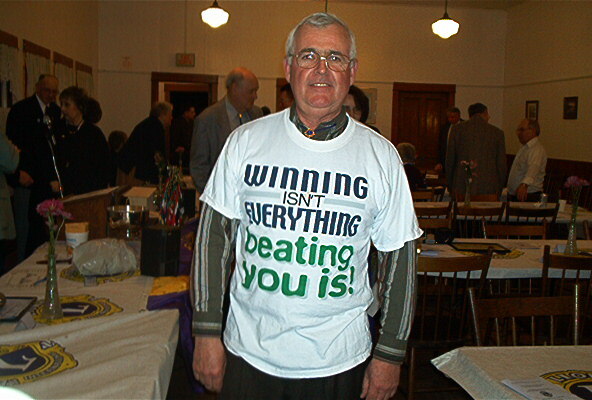 Lion John Robertson of the Windsor Club preparing for game of crib with Hantsport Club. 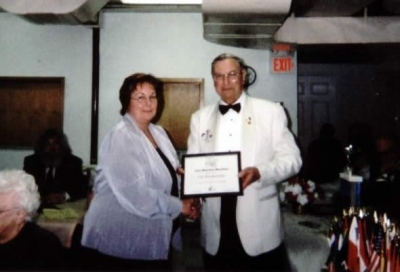 President Florence Vaughan presenting LCIF Honor Roll Certificate to Lion Dallas Moore and Lions Foundation District 41N2 LIfe Member Certificate to Lion Wendy Blue. 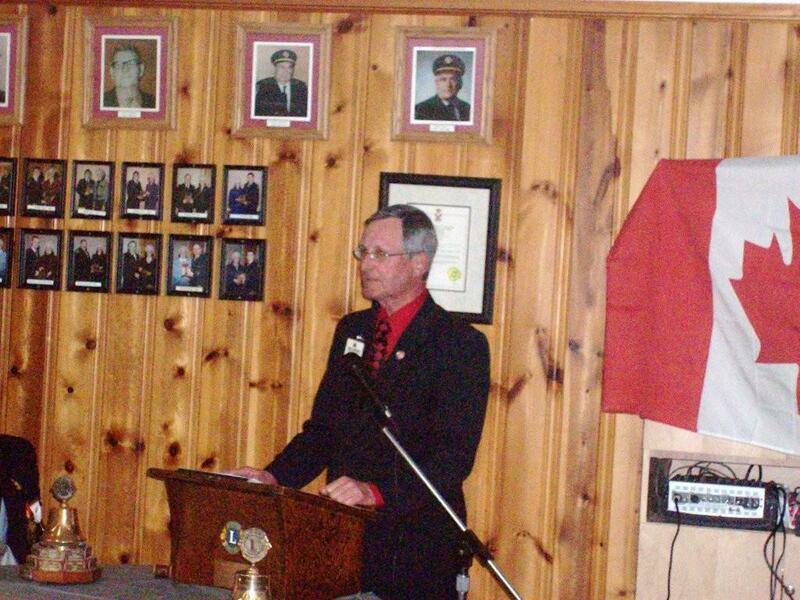 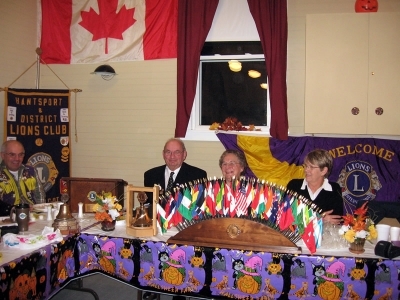 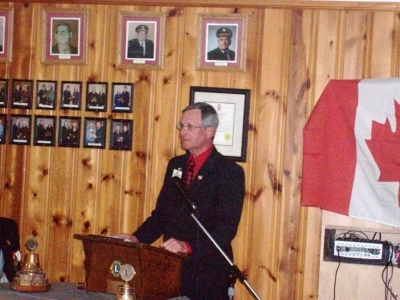 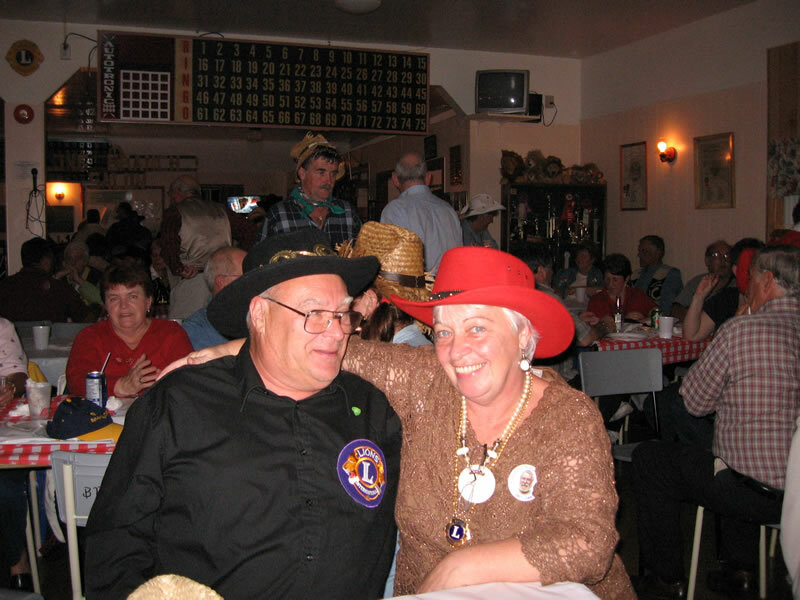 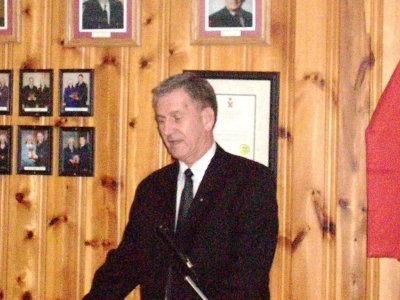 PDG Charles Uhlman, Guest Speaker 19th Charter Night presented with his own personal OUTHOUSE. 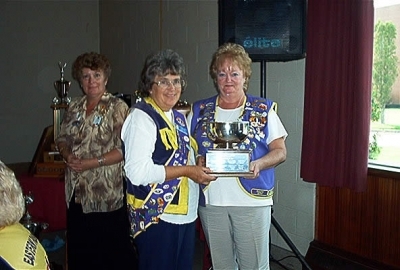 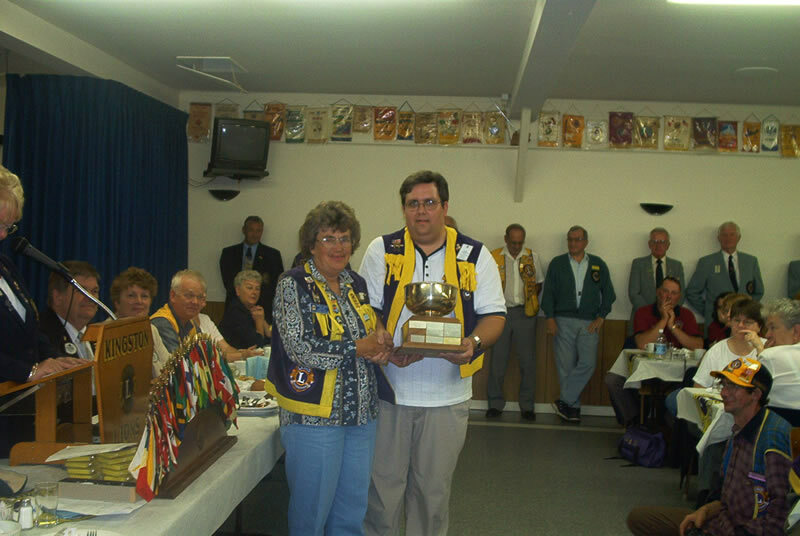 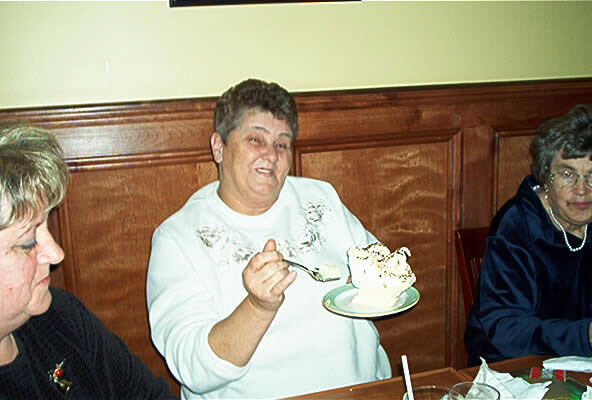 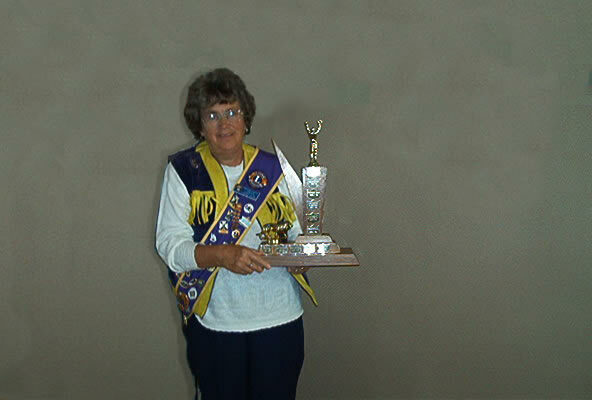 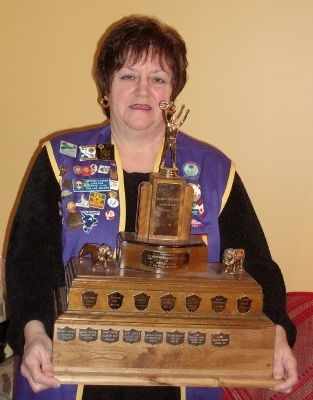 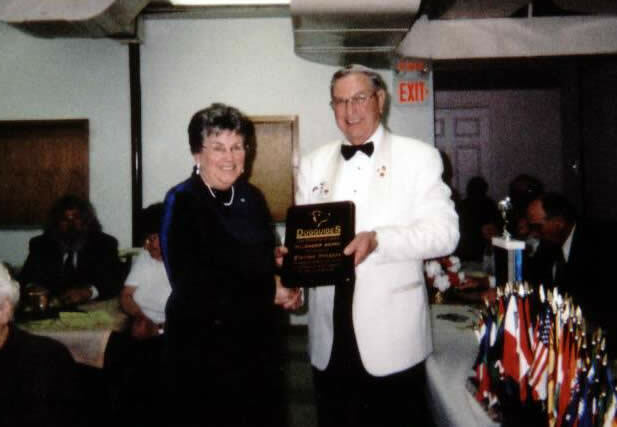 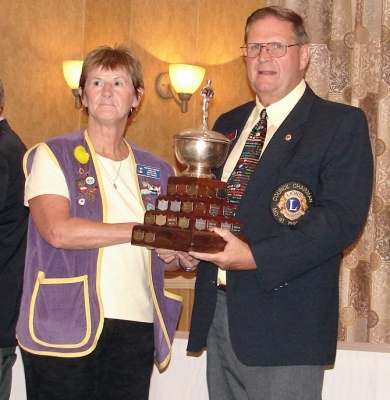 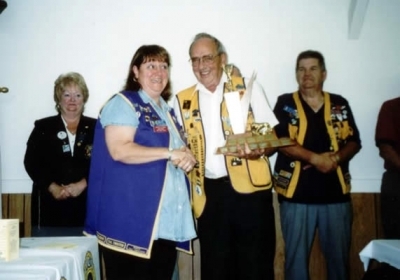 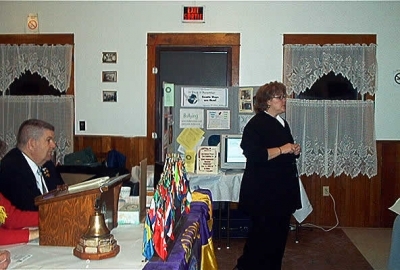 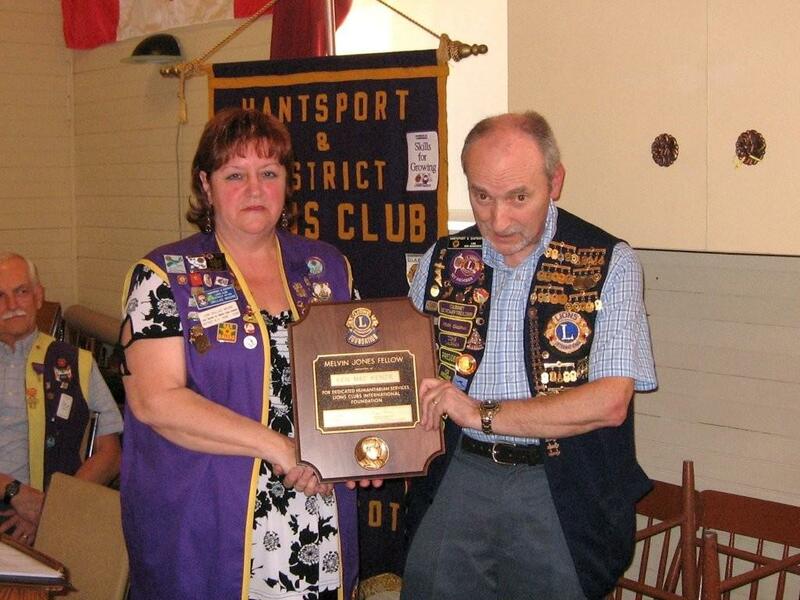 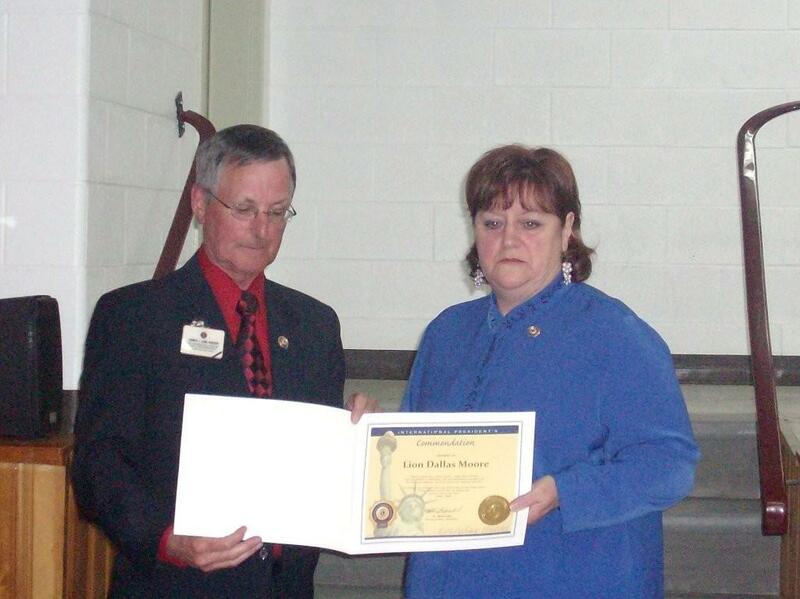 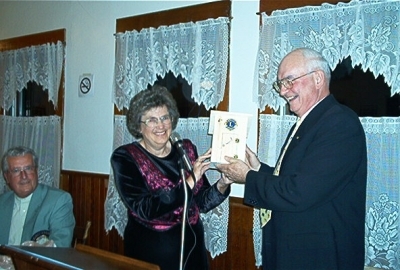 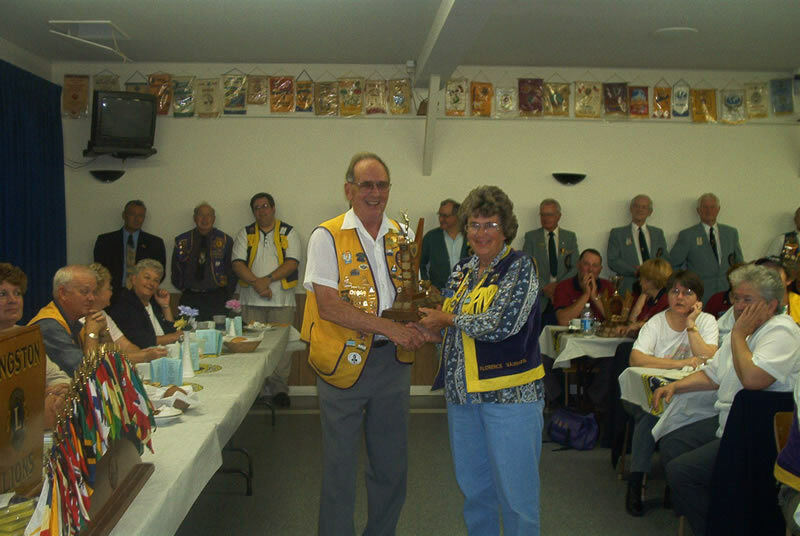 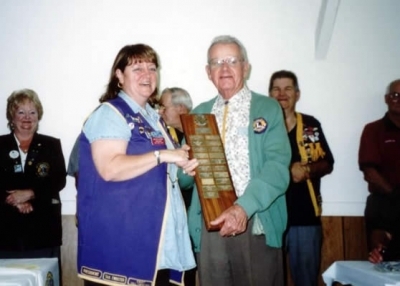 Past President Florence Vaughan accepting the BEST ROAD SIGN TROPHY District 41N2 2002-2003 from PDG Sharon Dykman. 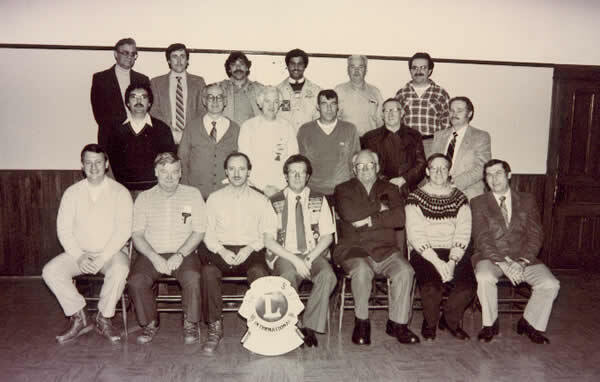 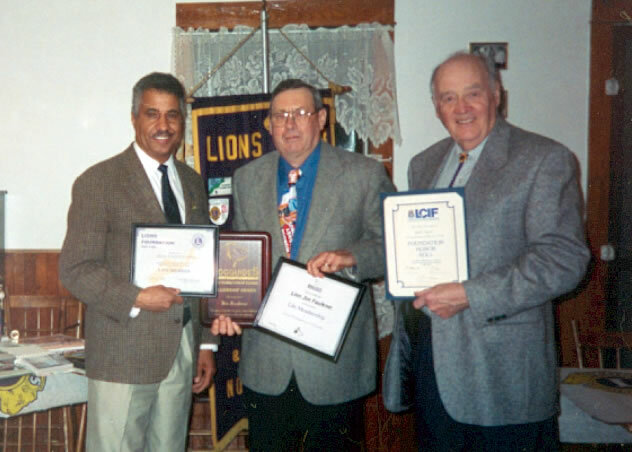 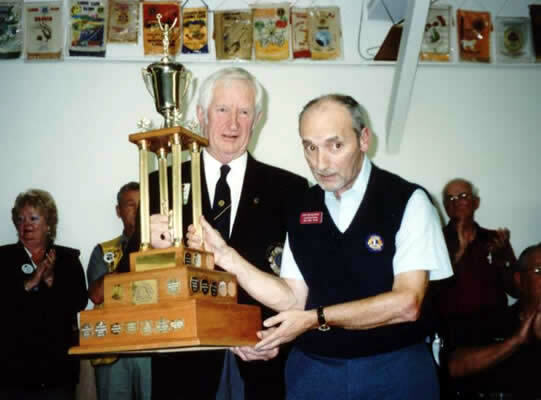 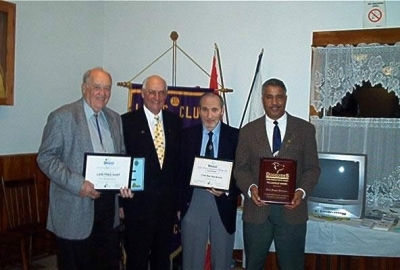 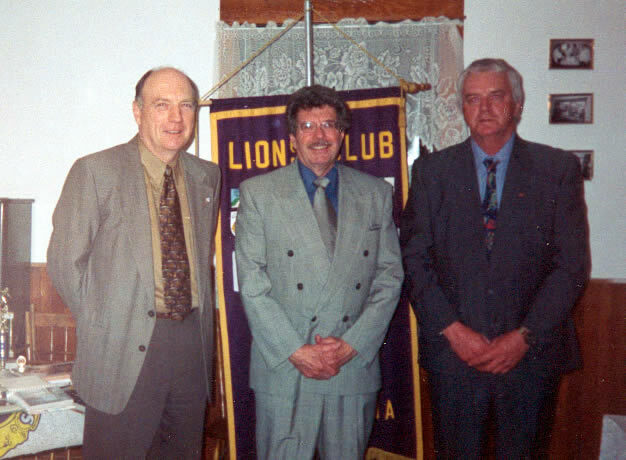 PDG Charles Uhlman presenting Lion Fred Hunt with Life Membership Award LFC, Lion Ken MacKenzie with Judge Brian Stevenson Fellowship Award and Lion Angus Johnson with Lions Foundation Canada Fellowship Award.